Roofing warranties are different for every company. It’s important to understand the restrictions of your warranty and what factors can cause it to be voided. Complete Exteriors, LLC lists some examples to avoid so you don’t breach the terms of your roofing warranty. Roofing manufacturers typically have clear and detailed installation procedures for their products. If your contractor fails to adhere to these guidelines, your manufacturing warranty could become voided. To avoid this, it’s wise to hire a local contractor with significant experience who is certified by the manufacturer of the roofing product you’ve chosen. 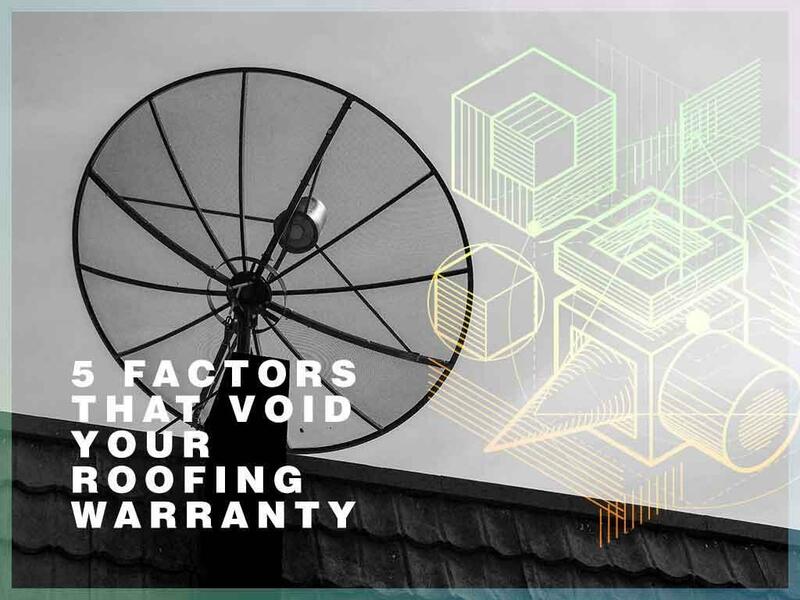 Before installing an antenna on your roof, check if it will affect your roofing warranty. Warranties vary for different companies; some may allow antennas, while others may not. Some residential roofing manufacturers frown on antenna installation as it requires drilling into the roof, which could compromise the roof’s structural integrity. Pressure washing your roof can void your warranty because many roofing materials, including asphalt shingles, are not conditioned to resist the high pressure of close-range water cleaning. To avoid this, reach out to us so we can clean your roof safely and effectively without violating the terms of your warranty. A hot roof caused by insufficient or absent ventilation can overheat your shingles and damage them, leading to shorter lifespan than the warranty covers. As your trusted residential and commercial roofing contractors, we always advise our clients to install proper ventilation not only to keep their warranty intact but for the overall health of the roof and the building. Layering a new roof over your old one is another risky idea. The new roof may nullify your previous roof’s warranty and can potentially deal damage to your roof deck, especially if it wasn’t adjusted or reinforced to take on the extra weight of the new roof. We can ensure that any work we do on your roof will not void your existing warranties. To learn more, contact us at (601) 202-4273. We serve homeowners in Jackson and Brandon, MS.